This is the second of a series of pictures from the Turtle Islands in the Philippines and Malaysia. 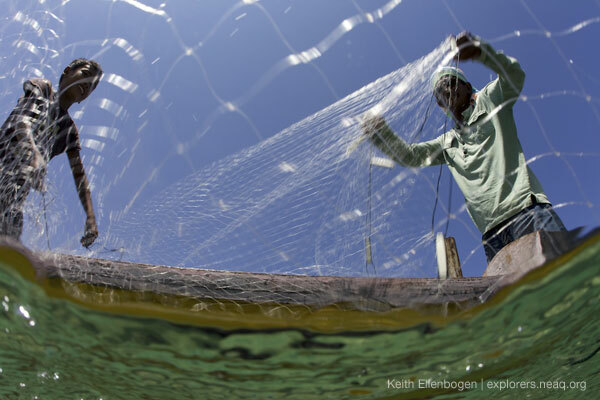 Keith Ellenbogen, a photographer and frequent contributor to the Global Explorers Blog, is sharing pictures from the expedition with Conservation International and the Ocean Health Index to create an awareness about environmental threats and solutions that impact the relationship between people and the sea. Throughout my assignment in the Turtle Islands, I also visited local communities. As I set foot on the island, to visit these communities, they are all welcoming and eager to share their story. I photographed and interviewed many of the people and the fisherman. From a distance, island life can sometimes be portrayed as idyllic. But these island communities are experiencing many pressures, such as limited food and genuine poverty. In an interview, one of the fisherman talked about when he was a kid he would catch 10 kilograms of fishes each day, compared to today when he is only able to catch two to five kilograms per day. 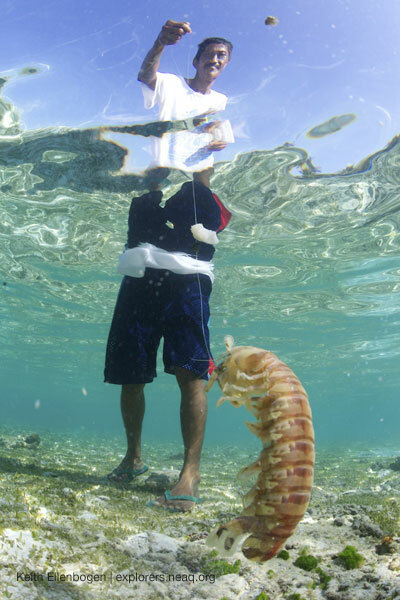 A fisherman using a hand line catches a mantis shrimp. A typical fishing boat used in the Philippines. In addition he has to travel much further for this meager catch. During an interview, this fisherman both hoped and asked for more conservation, recognizing that their traditional close fishing grounds no longer exist. 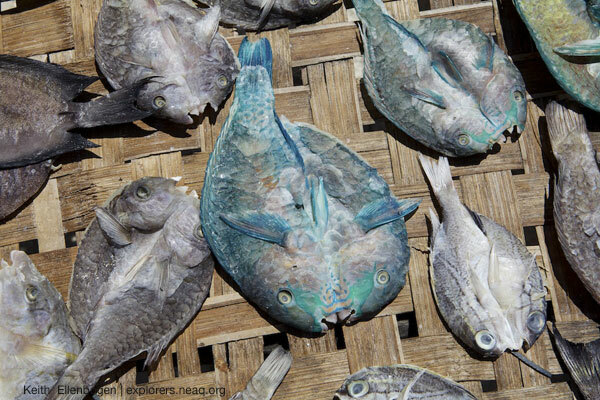 Parrotfish that are being dried in the sun. More sea turtle photos and videos will be posted to Conservation International’s Blog. 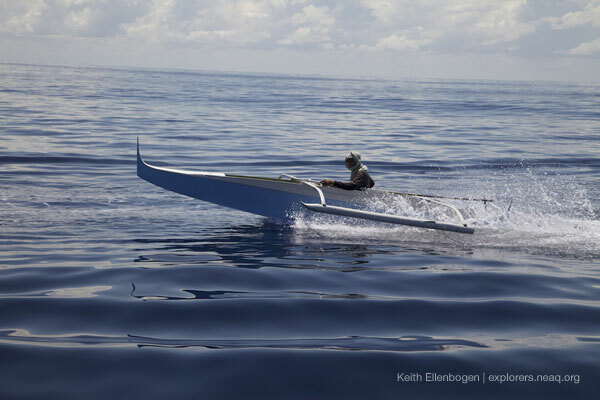 See Keith's previous Explorers Blog post from the Turtle Islands here.